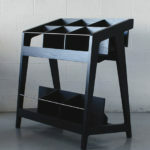 Want some statement shelving for your home? 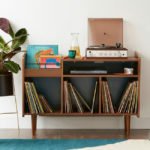 The Swift shelving unit from Fashion For Home could be just the answer. Fashion For Home are selling this Wimbledon armchair is a striking piece of retro design available at a price that might come as a pleasant surprise. Fashion For Home describe their Houston lounge chair as 50s Scandinavian influenced. There's certainly one Scandinavian designer who seems to have influenced this design: Arne Jacobsen and his 1958 Egg and Swan chairs. 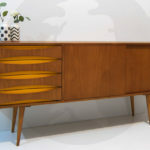 Retro looks adapted for contemporary life – that's the Lasse oak sideboard from Fashion For Home. Readers with a good memory may remember Sean Dix's Dowel sofa - a stylish retro number being sold at a reduced price by Made. While Made are no longer stocking that design, the matching dowel armchair has popped up – also at a discounted price – on Fashion For Home.